GPR-SLICE OpenGL Volume XYZ-2D menu can be used to show the active Zscan volume slice, as well as showing any radargram folder from which the processed volume was generated. 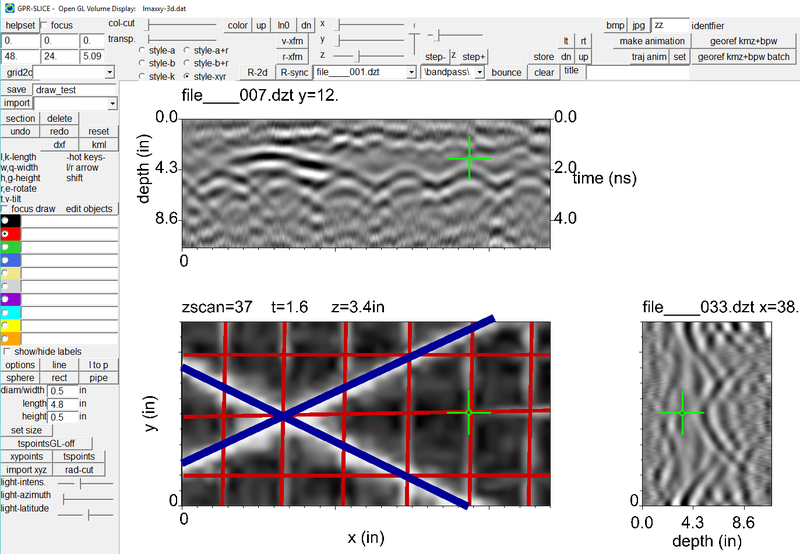 In this example, the Zscan volume slice was made from time 0 corrected, bandpassed and gained, background filtered, kirchoff migrated and Hilbert transform - with the X and Y radargrams synced in the display from the bandpass folder. 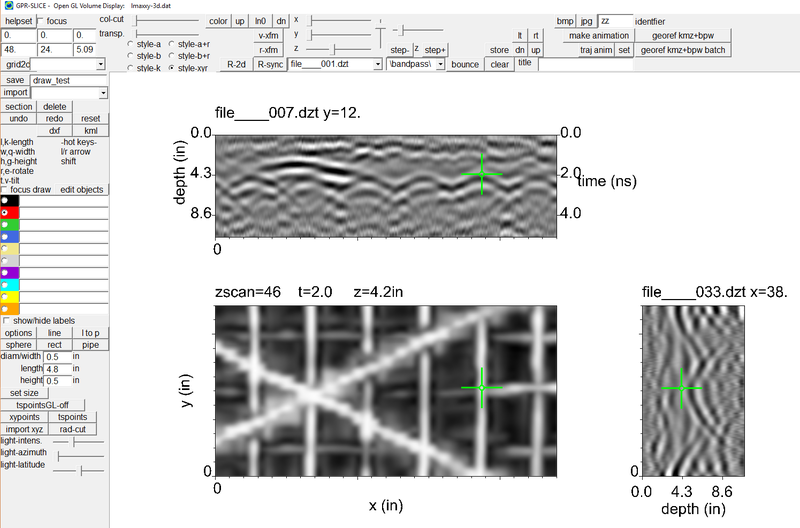 GPR-SLICE OpenGL Volume XYZ-2D menu can be used to draw utilities and rebar on top of the Zscan slices while viewing the X and Y radargrams simultaneously. The OpenGL Volume drawing can also be done real time in the 3D Volume menu as well, with export to AutoCad dxf format.